Ask anyone who has attended the Maine Media Workshops in the past two decades and they will all mention Tim Whelan’s bookstore as an invaluable part of their education. 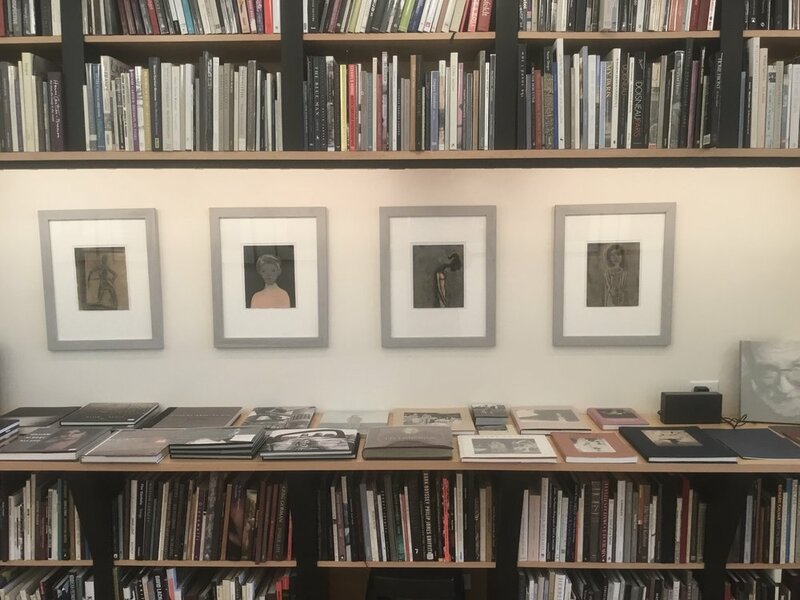 Before closing in 2010, his Rockport bookstore was famous nationwide and his current, smaller location as part of the Maine Media Workshops Gallery continues to be a legendary meeting place for photographers and photobook enthusiasts. With over 20 years of experience, Whelan is an encyclopedia of information about photography, photobooks, and the industry. Don’t Take Pictures Editor-in-Chief Kat Kiernan interviewed Whelan about his journey collecting and dealing photobooks, how tastes have changed over the years, and what he thinks makes a photobook special. Tim Whelan in his store. Kat Kiernan: Let’s start at the beginning, how did your photobook collection begin and how did collecting photobooks evolve into selling them? Tim Whelan: My interest in photography began when my mom took me to the gallery in Yosemite and I saw Ansel Adams prints on the walls. She asked me if I wanted anything, and I wanted a photograph. Not what she expected to hear, but she bought me one. Who knows why we love the things we do? In high school and college I photographed for the school newspapers and yearbooks. I loved giving prints to the people that I photographed. It got me to all sorts of events and helped me make friends. I ran a camera store for many years and took any spare money to a great bookstore to buy photography books. I moved to Maine to work for the Maine Media Workshops and met my partner, Lisa Cummings, who worked in the Workshops’ library. She moved to Santa Fe to work for William Clift, and I followed her. I was fortunate to work for Paul Caponigro in Santa Fe, as well as the Santa Fe Photo Workshops. It was the year Rixon Reed opened Photo Eye books in Santa Fe. We returned to Maine and my first shop was in Rockport in an old schoolhouse. The schoolhouse had three darkrooms on the main floor. Paul Caponigro, Tillman Crane, and a photo conservationist were all there. When Tillman moved I took his darkroom and had the bookshop in his studio area. It was perfect. I could print pictures most of the time and the rare customer could browse. A few years later, wanting to stay in Maine and make a living, a great small space was for rent. Lisa encouraged me to take the space. She gave me a bookmark that said, "Go out on a limb, that is where the fruit is," and explained that the worst thing that could happen is I would have a great ocean view for a year and lose a little money. 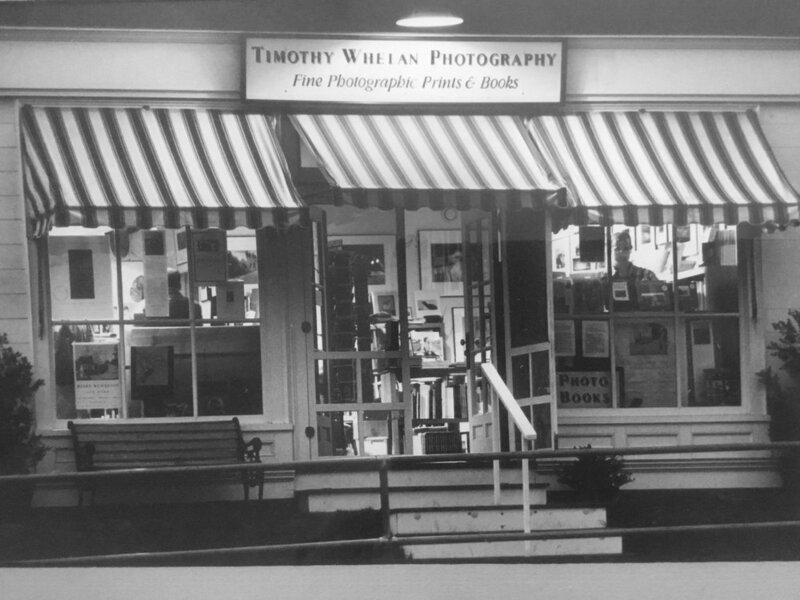 It was a crazy idea to open a bookstore selling only photography books in a somewhat geographically handicapped town of just over a thousand people on the coast of Maine, but for 18 years it worked. Then then one day it didn't, and I had to close the shop. A few weeks after closing, Charles Aultshel, the president of Maine Media Workshops, very graciously asked if I would like to sell books in the Maine Media Workshops Gallery. For the past five years I have done just that. KK: What advantages does the book format have over other means of presenting photographs including prints, folios, or digital display? Tim Whelan’s new store at Maine Media Workshops. TW: A well-printed book, though always different than a photographic print, can have a great beauty to it. The ideas in a book, the sequencing, and surprises that it can hold are varied, and turning pages has a textural feeling to it. You can put it on a shelf and keep studying and learning from it. I know a lot of photographers that have learned photography by studying books. Some memorize the sequencing and can tell you the order of the images. It traditionally took a lot of people, time and effort to print a trade edition book, and it was hard to find a publisher. Something happens in that process—you learn more about your work, try harder, and have to really think about all aspects of what you want to say. Once it is printed it becomes a part of photo history. You cannot take it back, so you have no choice but to make it exceptional. All that said, books have their weaknesses as well. They are expensive, can easily turn out wrong, not sell, etc. These days we are getting information differently. What the future of books is, I really do not know. Going to a photographer’s website and seeing all of their work for free is amazing. You can get such a potentially great education in photography online just watching and listening to photographers speak on Vimeo and YouTube. Folios and digital displays have their strengths and weaknesses as well. But books have a long life and often end up in many hands. They have through the last 177 years of photography been important in inspiring, teaching, and spreading photography all around the world. I am surprised that I do not see more handmade books than I do. So many options are available to print—so many papers, and other materials. We now all have these potential amazing printing presses in our houses. KK: As a collector, what are your thoughts on small editions versus mass-market books? TW: I have always tried to collect, and for that matter to sell, books that I love. No question that smaller edition books are far more likely to go up in value than larger editions. Depending on who the photographer is, an edition of 500 copies or less of a book is far more likely to become collectable than an edition of 5,000. I am not fond of scarcity and hype for books. KK: People often come to you looking for recommendations. What do people most often come in looking for, and how do you guide them toward a new discovery? TW: I am most commonly asked what the great new books are, or what my favorite book is. Before answering I like to find out if they have a favorite photographer, or a few favorite books. At that point I can sometimes show them what that photographer is up to, or show them others with similar aesthetic. I will also try to show them a book that might be a stretch, but that has been important to me, or that I feel is just a great book that could be helpful. More often than not I put too much out for them to look at. KK: What are some of your most interesting finds of rare, out-of-print, or unique photobooks? TW: I love Linda Connor's On the Music of The Spheres, Minor White’s Mirrors, Messages, Manifestations, Yousuf Karsh’s Regarding Heroes, Ernesto Bazan’s Cuba, Michael Kenna’s Japan, and the book of Lartigue’s work, Boyhood Photos of J. H. Lartigue. KK: With more photobooks being published than ever before, how has the role of the bookstore changed in the last decade? TW: I am always surprised to see how many photography books are being published. There are so few bookstores left. Without the generosity of the Maine Media Workshops, there is no way I could keep the bookstore open. Besides Jeff Bezos, there are not many wealthy booksellers. Frankly, I take fewer chances in book buying than I once did, as do other booksellers that I know, which is not good for the industry. KK: Over the years, many renowned photographers have visited your store. Which ones have had the most impact on you? Arnold Newman was so very gracious about signing books. When he was older and I had a huge stack for him to sign, I started to apologize. He stopped me to say he only minded if I had no books for him to sign. A bookseller from New York was in my shop one time when Mary Ellen Mark, Arnold Newman, and Paul Caponigro were talking to one another. When they left he was a bit amazed and asked me if I knew who they were. I said I had no idea, but they come in all the time, and I can't get rid of them. The fact is, I have a great respect for anyone that loves photography. There is a kindred spirit feeling that is immediate. As photographers, we mostly work alone. That is one reason that the Workshops, and the bookstore, have worked so well together in many ways. Photography is a wonderful way to live, but a terrible way to make a living. It takes a lot to stick with it.